For Anyone Interested in the Wildlife of the U.K. 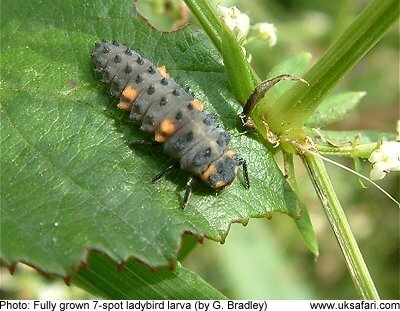 The ladybird life cycle goes through 4 stages; egg, larva, pupa and then the adult beetle. The photos below show what each stage looks like. Just click on the thumbnails to see a larger picture. 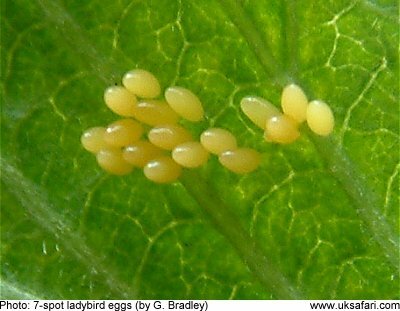 The eggs are bright yellow, about 1mm long, and are laid on the underside of leaves. They take about one week to hatch. This is its ugly stage. At first they are about 3mm long but they are voracious feeders, and each time they grow they shed their outer skin. This period lasts about three weeks to a month. 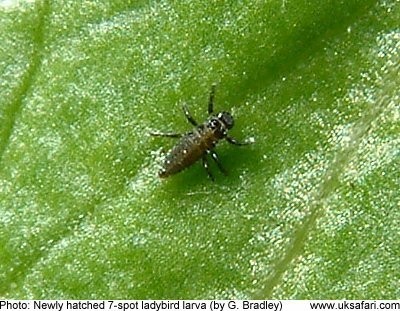 During the larval stage they will consume up to 500 plant lice, and when fully grown they'll look like this. 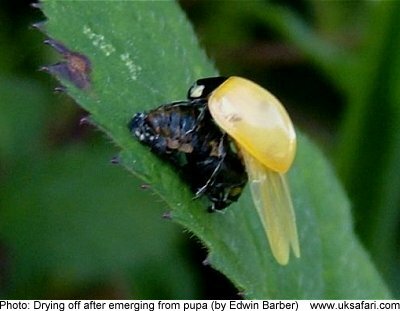 The larva sheds it's skin one last time and changes into this immobile blob - the pupa. Inside the body dissolves into a soup and then starts reforming as an adult beetle. This process only takes about a week. 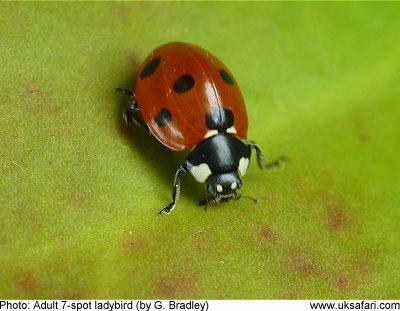 When it first emerges from pupation the ladybird looks very pale in colour but you can just about see where the spots are. After a short time the true colours come through. The adult stage is often called the 'imago'. 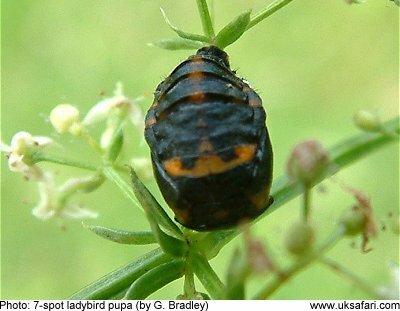 When the ladybird emerges from the pupa it is fully grown, and will remain in this form until it dies. 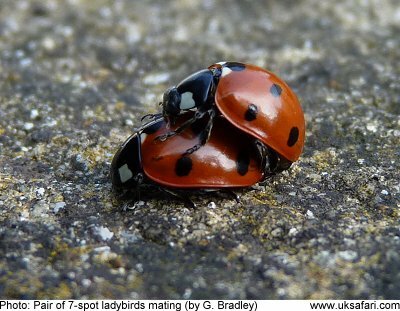 The main reason for the existence of the adult form (besides eating greenflies) is to find a mate and produce the eggs for the next generation.